Preamble: I was NOT looking forward to my Quebec trip. When I had booked it months ago, I was very excited, but now, in the tail end of winter, I was having serious doubts. 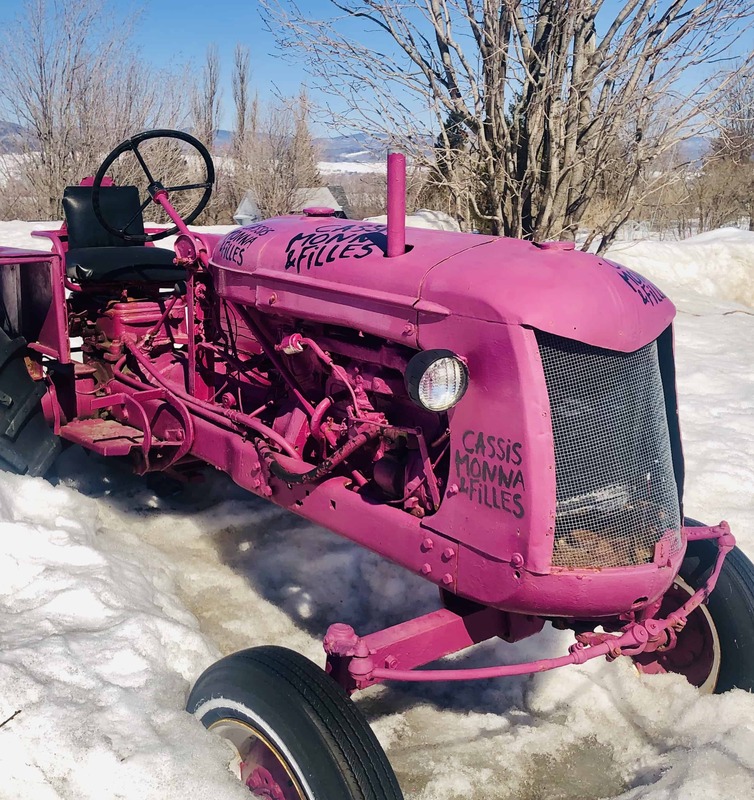 First, the ten-day weather forecast showed I was in for: below freezing temperatures, torrential rain and snow showers, particularly problematic since I had rented a car to drive from the city to the country and as a California girl I do not know how to drive in snow! Next, I got a last minute email from Air Canada informing me that due to the Boeing 737 debacle my upgraded aisle seats were gone and I was stuck in the middle. Then I read that the taxi drivers were going on strike, which I thought would shut down the city. But, since none of these were life-threatening issues, I packed up my boots and multiple Uniqlo parkas and decided to make the best of it…which resulted into me having one of the BEST trips of my life! Who knew (well, I guess the Québécoise did!) that winter is the perfect time to explore Quebec, whether you want to take advantage of the snow for some excellent skiing, snowboarding, ice-skating, dog sledding, etc. or, like me, just looking for some quality nesting venturing out mostly for local food forays. In addition, a lovely flight attendant (in general, I found the French Canadians to be some of the most gracious, helpful people in the world) scored me aisle seats on both flights, plus, the taxi strike turned into a complete non-event! Seemed like I was the only tourist in town…sweet! Q.C. in the winter is a thing of beauty. The dismal weather forecast was totally bogus. Yes, it could get chilly, but in a delightful, crispy-clean manner, since the sun shone brightly almost every day, with just the merest dusting of snow, which only added to the city’s romantic charm. Q.C. in the winter is a thing of beauty. 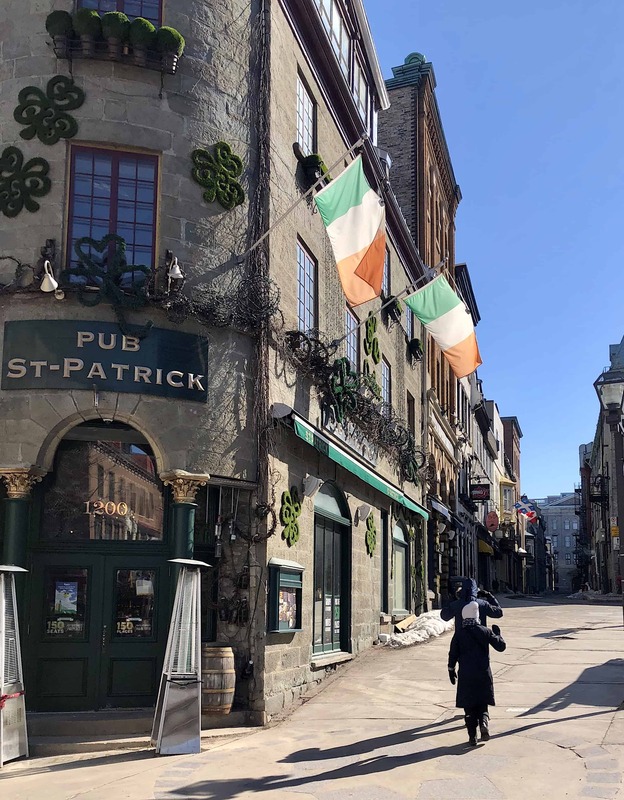 As I wandered the European-esque cobblestone streets, popping into shops whose doorways were decorated with festive lights, red ribbons and empty cans of maple syrup, I was greeted with a cheery ‘Bonjour” by the helpful staff, as I was often the only one in the store. Amazingly, Old Quebec City, a UNESCO heritage treasure, felt like it was all there just for me to explore. But I’m happy to share some of my favorite discoveries. If you’re allergic to generic, cookie-cutter hotels here are two exceptional, one-of-a-kind accommodations that will knock your wool socks off. 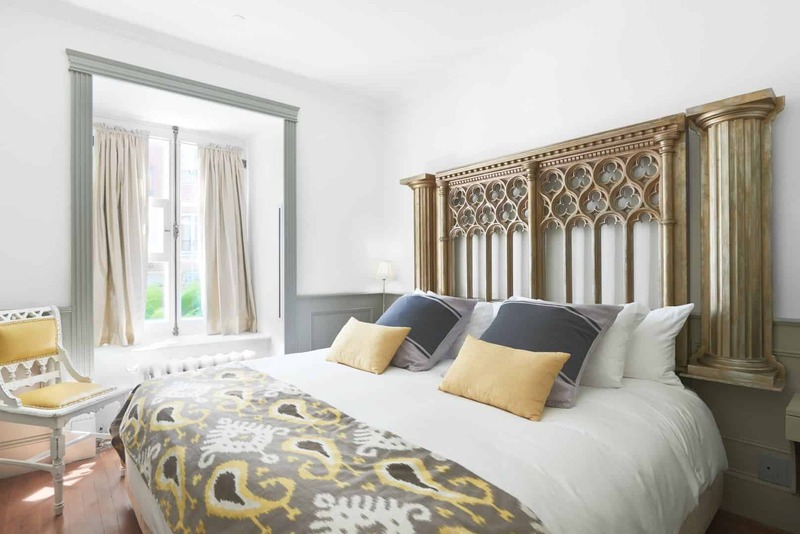 Tucked away off the main drag, Le Monastère des Augustines offers a transformational retreat that is way cool! 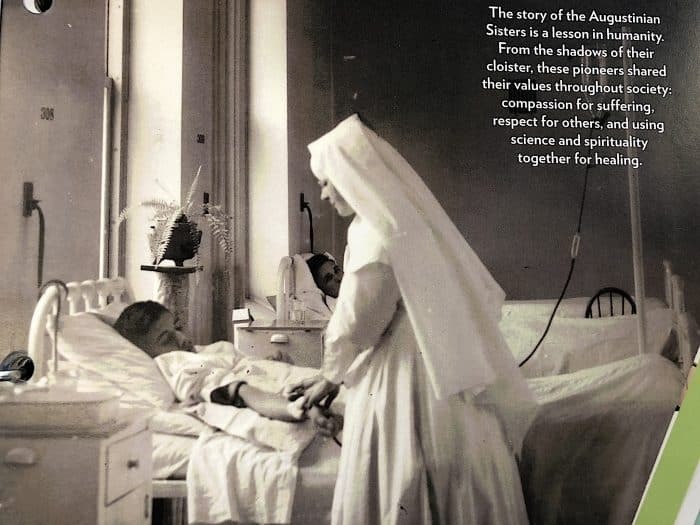 The sisters of this former convent (well, not quite former since there is still a handful of elderly Augustine nuns living there) were worried about keeping their valuable heritage alive. 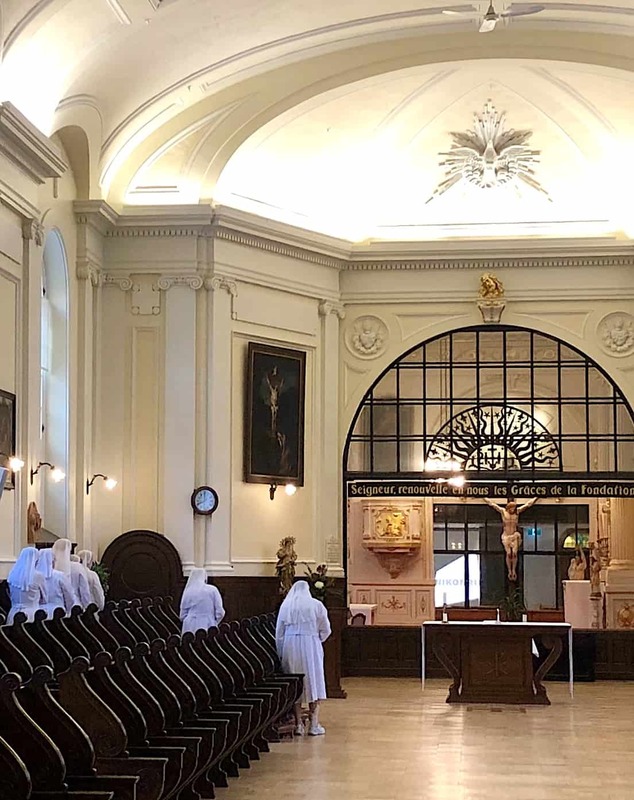 After much thought they decided to restore the 17th -century monastery and transform parts into a historic museum with over 40,000 artifacts dating back to 1695, a non-profit health and wellness center, an organic restaurant, and an authentic yet exceedingly comfy hotel located in the wings of the old monastery. Each time I walked to my room, I’d take a different route through the museum, discovering yet another mind-boggling display, such as some rather frightening medical instruments showing the evolution of medicine through the ages, a 17th-century trunk the three original sisters brought with them, and a variety of life-sized religious statues. 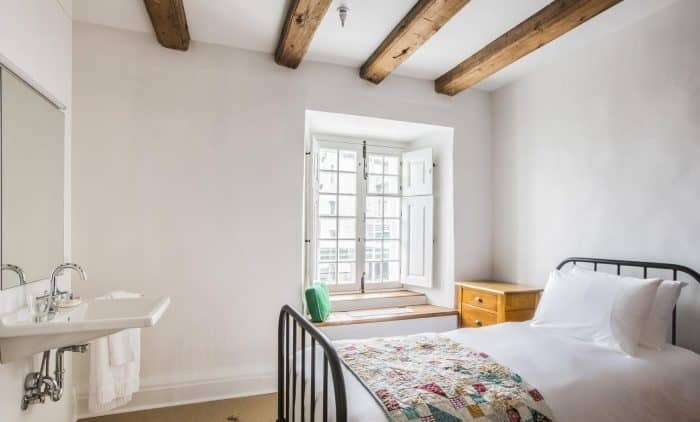 You can stay in one of the 33 authentic, immaculately clean and cozy cloister rooms that are simply decorated with antique furniture and colorful handmade quilts. Note the little hand-knitted cozies to house your cell phone in so it gets a vacation too, although they do have complimentary Wi-Fi. Since these rooms have shared bathrooms, I opted for one of the 32 contemporary attic rooms with a spacious private bathroom and comfy, cloud-like, king-size bed. Different wellness programs are available depending on how holistic you want to go. For full-on escapism, there are three daily relaxation classes and meditation walks, as well as workshops in Tibetan Sound Bowls, herbal medicine or traditional crafts. 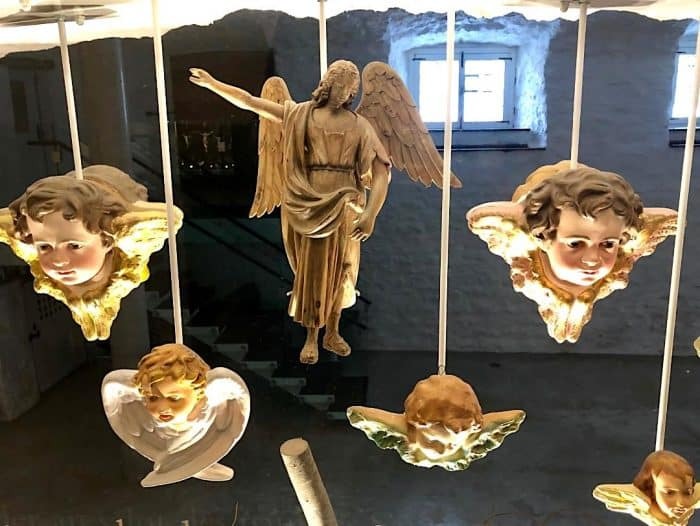 Although I usually flunk yoga, I have to admit that the class here which was led by a spiritual French Canadian teacher and held in an old vault dating back to 1695 (where I was surrounded by ancient wooden angels and crosses) had me doing some of my best Down Doggies ever. Afterward you can indulge in a therapeutic spa massage, facial, or reflexology treatment. Following their well-being mission, the organic restaurant promotes healthy mindful eating, in a pleasant dining room with living garden walls and shelves of green sprouts. The buffet breakfast is designated a no-talking meal, which I thoroughly enjoyed, but I was happy to see that the dinner menu, a gourmet prix-fixe extravaganza, included a lovely wine list. The talented Chef Sylvestre Hervieux-Pinette guides you through a culinary escapade, with imaginative creations utilizing native ingredients such as elderberry, lichen, green alder, sea pea with local game and seafood. Check what time the museum tours are offered in English because the eloquent tales that the enthusiastic tour guide shares are mesmerizing. 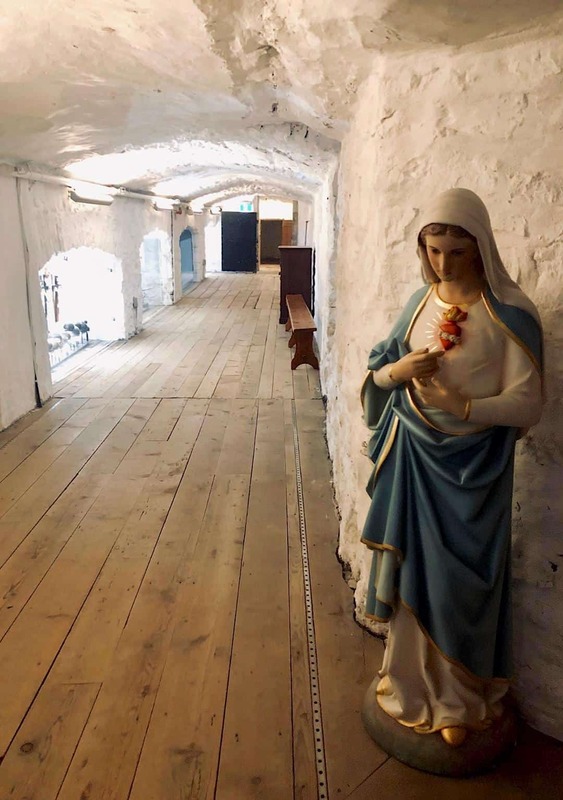 My guide explained to me that the rotating wooden circular cabinet facing the street was not for the mailman to deliver mail but was used by unwed mothers to secretly drop off their babies for the nuns to raise. Also, don’t miss morning vespers where you can observe the few remaining nuns sweetly singing their morning praises. For another historic, living museum, sleepover experience, this upscale, family-owned, 95-room boutique hotel, can’t be beat. Overlooking the St. Lawrence River, Auberge Saint-Antoine occupies a 17th-century wharf and cannon battery plus three other 18th- and 19th-century buildings in Québec’s Old Port. A member of Relais & Châteaux, the owners have pampering down to a fine art. 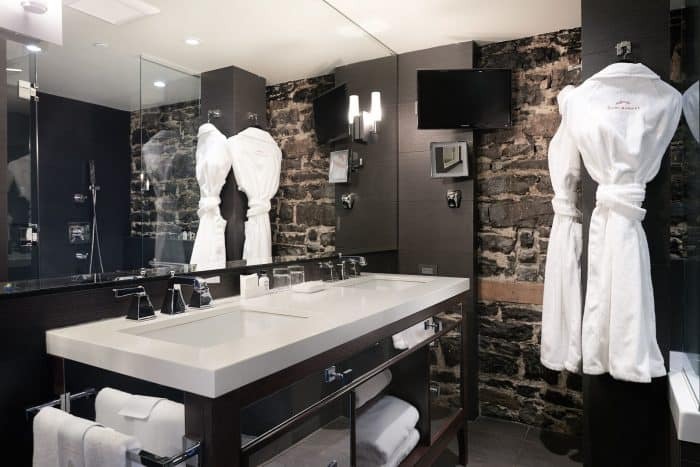 Plush, spacious guest rooms beckon with decadent goose feather beds, Frette bed linens, bathrobes and slippers, heated toilet seats and bathroom floors, fog-free mirrors, gas fireplaces, complimentary high-speed internet access, minibars, and Nespresso machines, plus they are dog friendly! 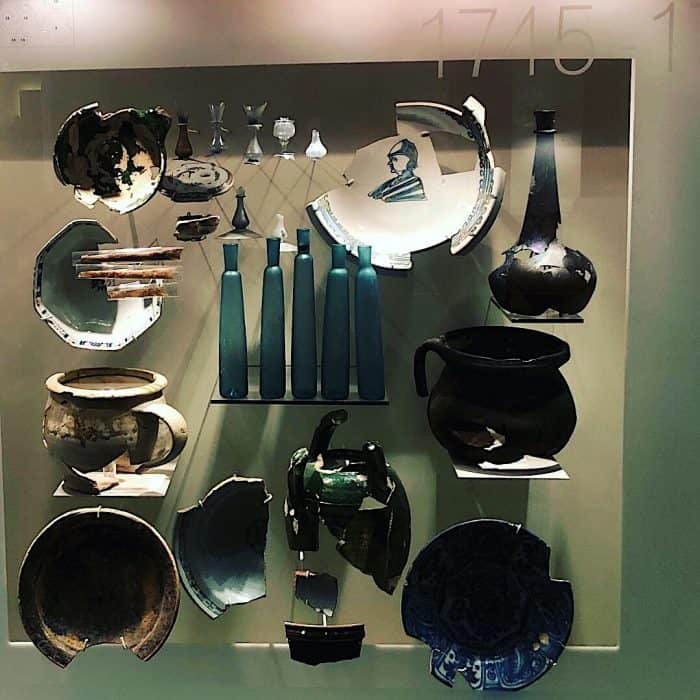 Instead of common paintings the walls are embellished with museum quality glass cases displaying 17th and 18th-century pottery shards, old buttons, eyeglasses, and other artifacts discovered during excavations to expand the hotel. Complimentary archaeological tours are offered for a more in-depth explanation of the hotel’s storied past. Some bits and pieces found during excavations. 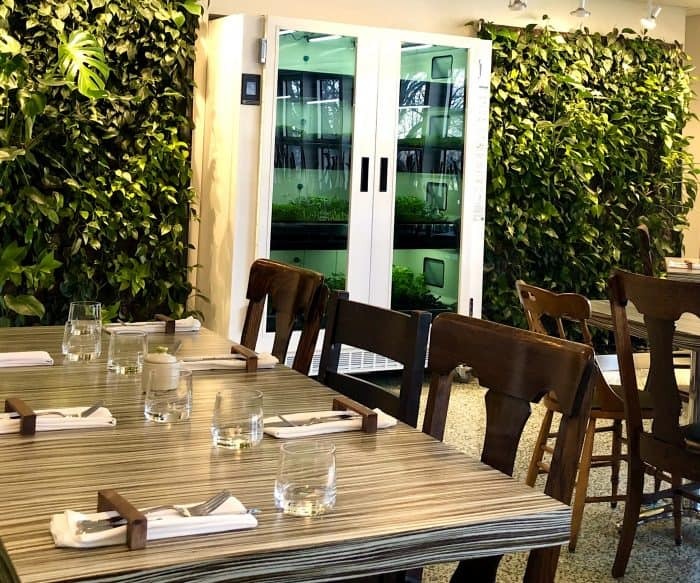 The too-cool-for-school, 24-hour, LeGYM fitness center has top-notch cardio machines arranged around an inside garden as well as a Finnish sauna, a yoga room and private spa treatment rooms. Unfortunately, their signature restaurant, Chez Muffy, which occupies a historic maritime warehouse dating back to 1822, and has received many rave reviews for their farm-to-fork dining, was closed for a mini face-lift when I was there, however, I did enjoy my helpy-selfie buffet breakfast at The Bar Artéfact, which also offers some creative deconstructed cocktails to go with their live music. Leaders in guest service, the multi-lingual concierge could not have been more helpful. 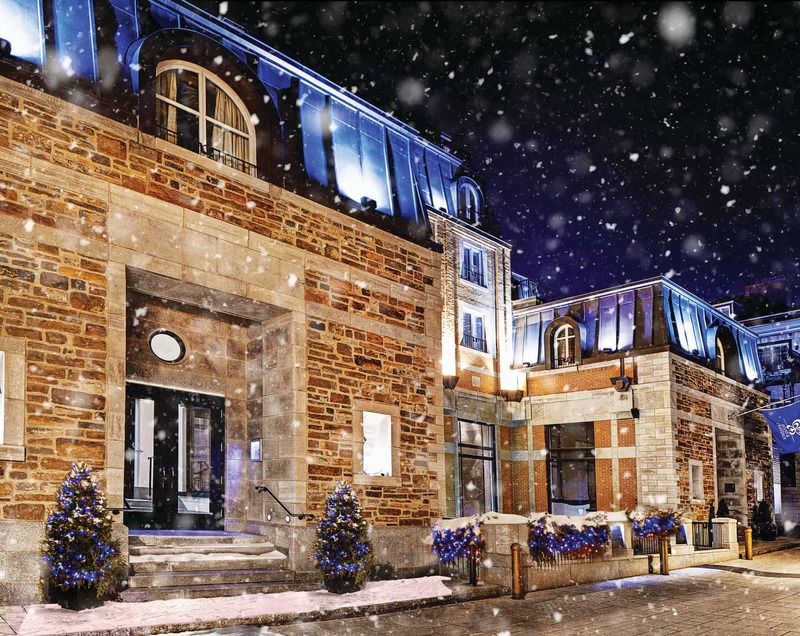 Be sure and pick up their “Quebec, Our Insider’s Guide to the City” map, filled with concierges top recommendations. 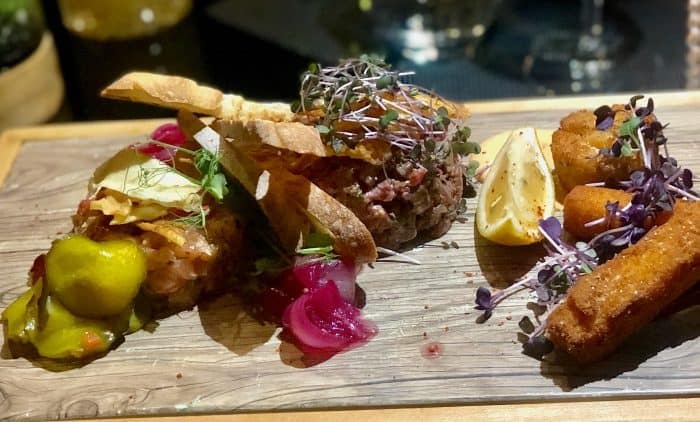 It’s almost sacrilegious to come to Quebec City and not to, at the very least, have a meal at Fairmont Le Chateau Frontenac which holds the Guinness World Record for “The most photographed hotel in the world”. Still as stunning as it was 125 years ago! This stately old gal has a certain je ne sais quoi about her that belies her 125 years holding court atop a tall bluff overlooking the Saint Lawrence River. We toured the exquisite lobby exhibition which was honoring HSH Princess Grace of Monaco’s visit here, fifty years ago, complete with the gown she wore to the Regency Ball before heading up to dinner at Bistro Le Sam, (named after Samuel de Champlain, the city’s founder) which is famous for its innovative mixologists and river views. Assorted apps are perfect for the undecided. I opted for the appetizer tasting platter, which came with nice-sized portions of their salmon tartar, bison tartar, crab cake and fried local cheese, which I highly recommend. 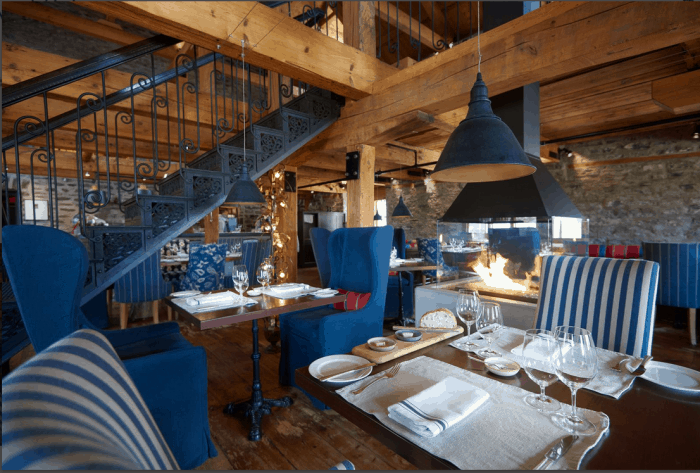 I had been looking forward to trying Chef Stéphane Modat‘s culinary journey through the discovery of a new Quebec Cuisine at the famed Champlain Restaurant but, it was closed that night. 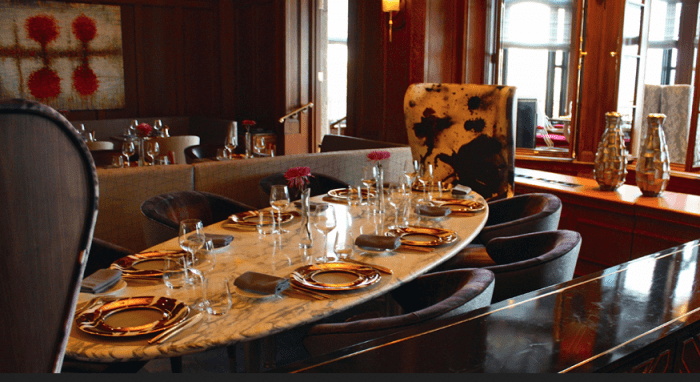 Dine in style at Le Champlain Room. While peeking around the dramatic dining room I saw his cookbook, and after a quick mouth-watering perusal, I quickly decided that it was well worth flying back for another dinner! Hipster Restaurant Légende located in Old Town by the farmers market, is not only the stuff legends are made of, but as self-described, “A tribute to our ancestors A return to our roots.” The menu specializes in “Quebec’s boreal cuisine”(think balsam fir, foraged mushrooms, green sea buckthorn, and, since it was winter, lots of root veggies) using only local ingredients from cocktails to dessert. 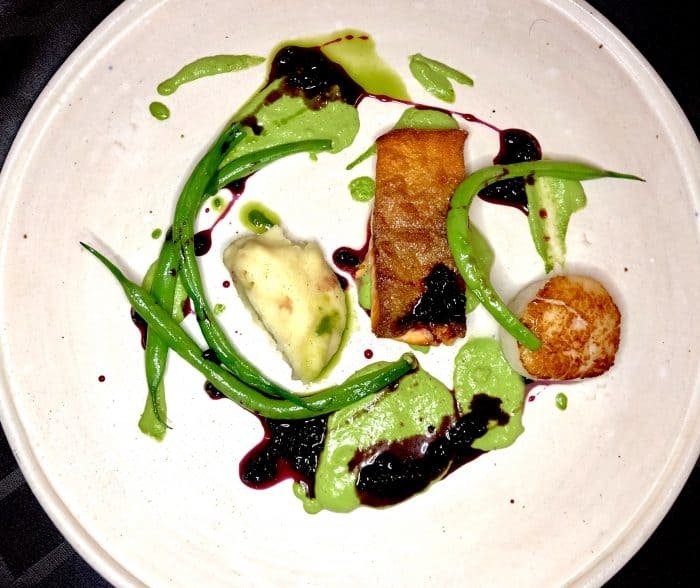 You definitely want to go with the Chef’s creative tasting menu, because otherwise you’ll see them drop off a stunning dish at another table and you’ll be heartbroken that you didn’t order it. For example, my amuse bouche was a delish, little mushroom tartlette, that I probably would not have ordered if I had read that the pastry crust was made with ground up toasted crickets, but then I would have missed out on one exquisite bite of sheer perfection. 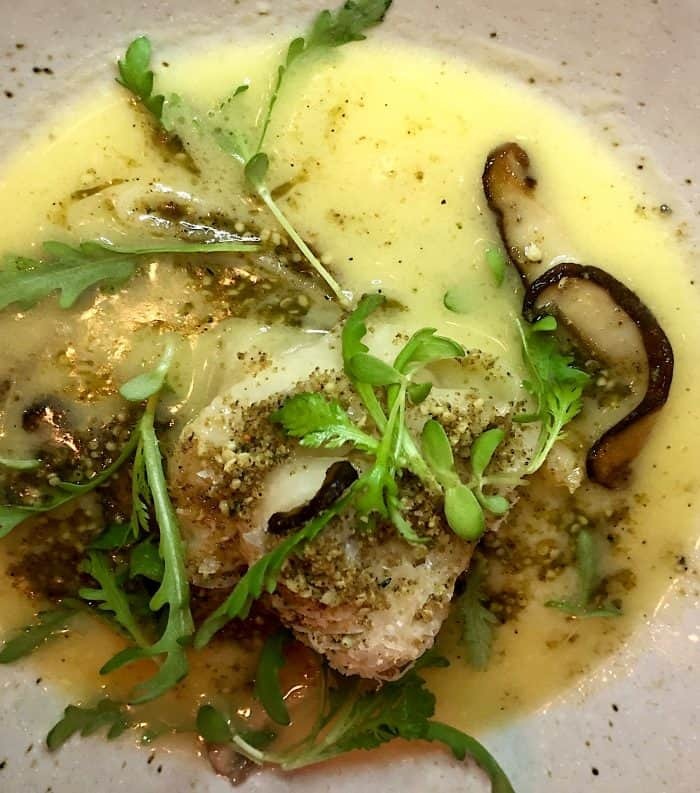 What followed next was a two hour culinary hit parade, including a Verjuice marinated flounder ceviche (they don’t use citrus juice since not local, hence the successful verjuice stand-in), and a silken lamb crudo with marigold oil and a splash of fermented elderberry. An incredible Rutabaga and shitake dish had me licking my plate even though I normally hate rutabaga. All were beautifully plated, and each was presented to me by a server who eagerly explained the who, what and why of each dish. Most memorable meal! I suggest sitting at the bar to watch all the action. For the liveliest seat in this casual, artsy bistro, nab a bar stool in front of Max, their mad genius of a mixologist. It was like watching the food channel on fast forward to see him smoke, swirl, and garnish his exotic cocktails, many based around his homemade tonics, which is not to take away anything from their young, impressive somm, although I would have liked to have more local wines offered. Where most folks shop for groceries at the corner store, lucky Quebecois can make the measly 5 km drive from the city to Île d’Orléans. 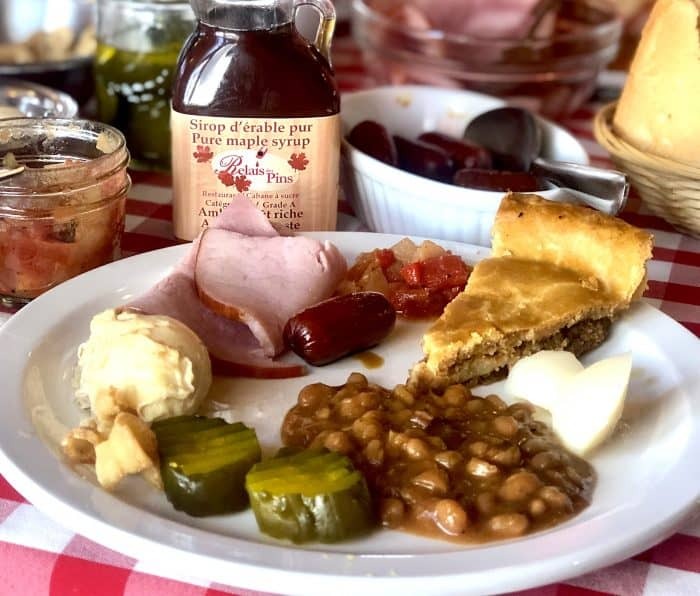 This rural island is nicknamed “Québec City’s market garden” for its abundance of quality food products that are grown here. Definitely worth an afternoon exploration since not only can you sample many tasty terroir products, including ice wines, cheese, cider, farm fresh fruits, and of course, pure maple syrup in many guises, but you can also meet the food purveyors who supply Quebec’s finest restaurants. 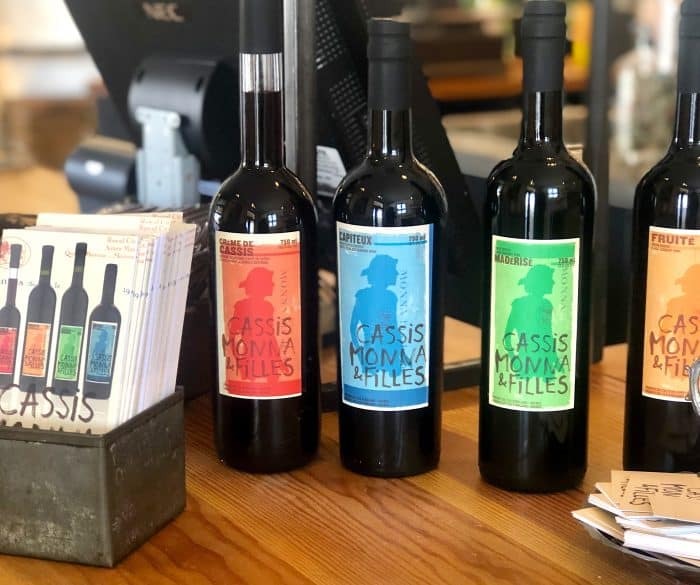 A few must-stops to get you started are Cassis Monna & Filles, the black-current specialists! Now run by the owner’s two beautiful filles (daughters) the family has mastered the art of transforming black currents into gold-medal liquors and other high-end products. Their blackcurrant onion jam would rock any sandwich. Loving the girly pink tractor. Don’t leave without buying a cone of their artisanal blackcurrant-vanilla “softie” ice cream, a huge fan favorite. 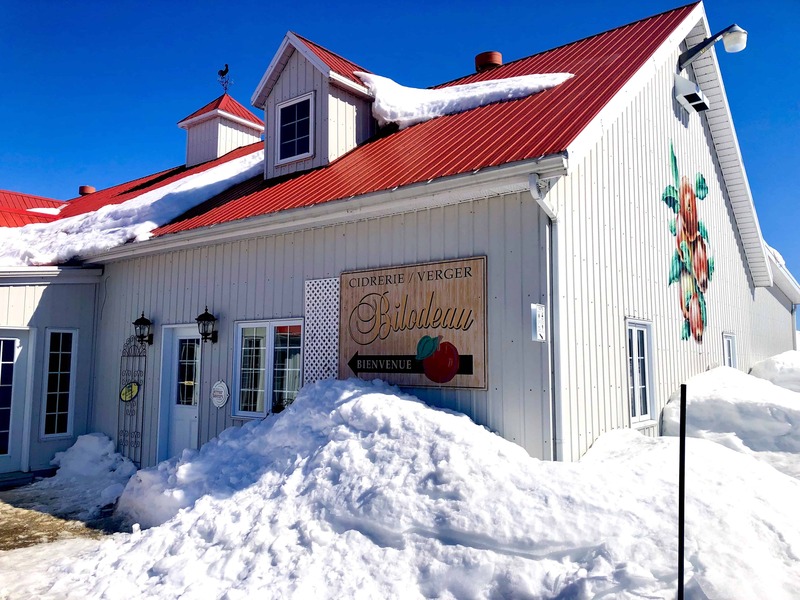 Another enjoyable sipping spot is the Ciderie/Verger Bilodeau, the first mill implanted on the island, where the family turns their 3,000 apple trees into a plethora of ciders, ice ciders, sparkling wines and countless other gourmet products, including a flavorful apple butter. They are very generous with their tastings so sip them all before deciding. The best gift to bring home is a bottle of Fascination, an apple and maple syrup flavored mistelle. Best non-gift to devour on the spot is one of their fresh baked apple pies! The best gift to bring home is a bottle of Fascination, an apple and maple syrup flavored mistelle. Plus, they offer never-ending refills! I stuffed in a lumberjack’s quantity of pork rinds crumbled over steaming pea soup, maple syrup baked beans, meat pie, maple ham, boiled potatoes, sausages, poached eggs in maple syrup, pancakes, sugar pie, and just in case it wasn’t sweet enough, there was a jug of maple syrup for you to pour over anything that was missing it! 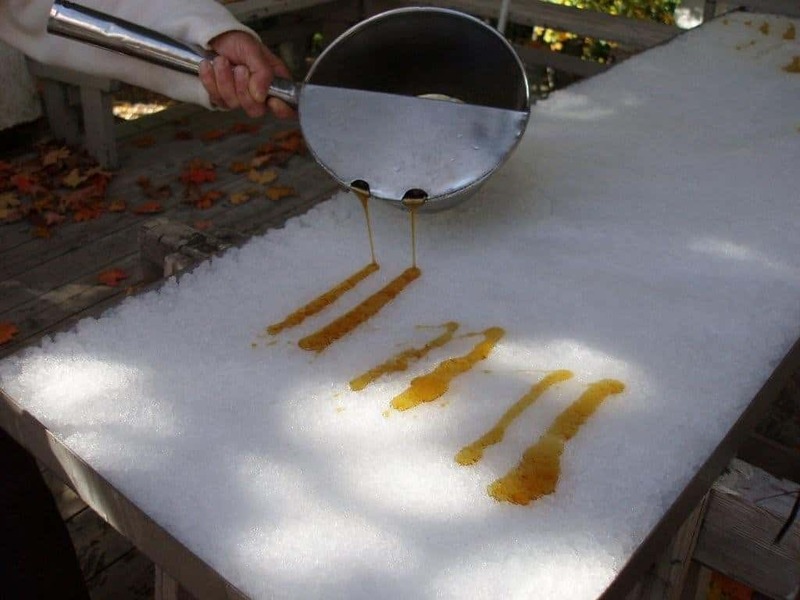 For our final sweet, we all headed out to the back yard where we learned how to make hot maple snow taffy. Time to pack up and head to the country for Part 2, Charlevoix.